PRP Regenerative Therapy stimulates healing through injection of one’s own growth factors into affected areas. PRP Therapy is an effective treatment for some common orthopedic conditions, including sports injuries. PRP or Platelet Rich Plasma is a concentration of platelet cells taken from the patient’s blood, and these platelets have growth factors that may help in the healing process of chronic injuries. These platelets are the center of PRP Therapy which is derived from the blood drawn from the patient’s arm. It will be put in a centrifuge and spun at a certain RPM. That forces the blood components to separate. The resulting blood will have distinct components of Red Blood Cells (RBC), Normal Plasma (PPP) and Platelet Rich Plasma (PRP). The PRP portion of the blood is then separated, and injected into the injured area. Clinical trials prove the effectiveness of PRP treatments for almost all types of chronic healing. Injection with PRP increases the amount of soft tissue generation, including the tendons, ligaments, as well as collagen and cartilage. PRP can also be used to treat osteoporosis (a medical condition in which the bone becomes brittle and fragile), and it is found to be highly effective in pain management. Another benefit of PRP therapy is that it is taken from the patient’s body, so there’s no matching to be done and no risk of rejection. Platelets release growth factors, which are responsible for almost all repair processes that occur in the body. 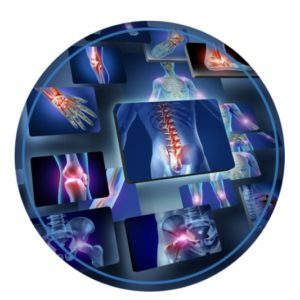 The goal of PRP in pain management is to reduce or eliminate pain through healing. The platelets in PRP release growth factors that play a vital role in bone healing. Growth factors include Platelet-derived Growth Factor, Transforming Growth Factor-β, Vascular Endothelial Growth Factor as well as several others. Up to 7 types of growth factors as well as cytokines can be found in PRP. PRP injection is exceptionally effective in treating acute soft-tissue injuries or chronic tendinopathy like acute Achilles tendon repair, rotator cuff repair, acute ligament injury, muscle injury, and meniscal repair. PRP stimulates a healing cascade in the broken ligaments, tendons and muscle cartilages, in some cases even bone regeneration. Of course, the best part is, PRP treatments neither require extended stays in hospitals nor a prolonged recovery stage.